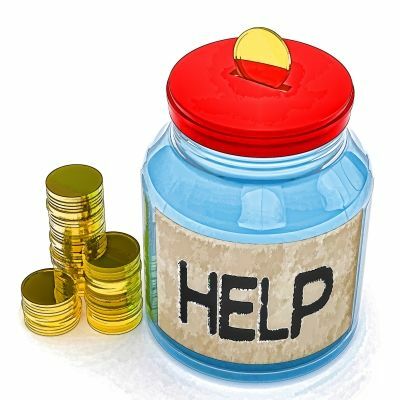 Fundraising commentary, tips and information. It’s August – that means it’s Black Philanthropy Month. Too often philanthropy is still viewed as a word that belongs to someone else – a word associated primarily with a small percentage of white people with wealth who give large transformative gifts. Yet the word philanthropy means love of humankind – a love expressed in a great diversity of ways by a great diversity of people. And that is the value of Black Philanthropy Month. To remind us that we are philanthropists and that we can – and do – make an impact in our local communities and globally. It encourages black donors to declare, “I’m a black philanthropist” and to get busy on social media with #IamABP. We must view our giving as philanthropy. We have to see ourselves as philanthropists, and encourage each other to step-up our giving especially to those causes where we are disproportionately and severely impacted. Sometimes it feels as if we as a culture have forgotten what got us to where we are today: sharing resources with each other, supporting our churches, colleges and universities. For much of our history black churches were the seat of philanthropy. In communities across the country that’s still true. At the same time philanthropy has become more sophisticated, and advanced beyond passing the basket. 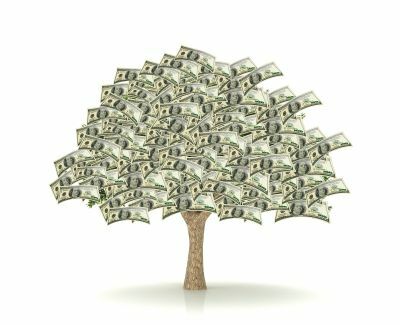 When we speak of philanthropy as “sophisticated” we are referring to the process of defining philanthropic priorities, figuring how to “sell” our priorities, having a multi-year plan, being involved, creating awareness, recruiting donors and influencers, securing short and long term commitments, and assuming visible leadership. We have to demonstrate our commitment with our giving, involvement and leadership. For example, if we believe initiatives such as education (K-12 and higher education), eliminating poverty, decreasing incarceration, and increasing health are priorities then that’s where we need to visibly invest our time, money and talent. We can’t wait for someone else to lead our causes. With the African American consumer market exceeding a trillion dollars, we know we can change conditions in our communities and take a seat at the philanthropic table as equal partners. We can give individually and most importantly we can combine our gifts with others to increase our collective impact. We also need to use our positions as executives within corporations, foundations and major nonprofits to advance initiatives that benefit the African American community as well as causes in Africa and across the diaspora. Corporate America values our contributions as consumers. Now we need to be appreciated for our philanthropy. We are more than the recipients of philanthropy: we are donors and influencers. Black Philanthropy Month was created in August 2011 by Pan-African Women’s Philanthropy Network as an annual, global celebration of African-descent giving. Let’s use Black Philanthropy Month as a time to recommit to growing a culture of giving. www.blackgivesback.com and http://www.blackphilanthropymonth.com and #BPM2015. What is a worthy cause? Summer reading is highlighted in Oprah and other magazines each year. A good read is great to enjoy on the beach or curled up on a lawn chair. But what about a good summer write? That’s right –start writing now to help the money come in at the end of the year, or perhaps next spring. That’s how it’s done. Writing proposals now prevents future complaints such as “how can I write that proposal in just three days?” It’s called planning ahead. Here are six things you should know before writing a proposal. What type of funding are you seeking? Do you want a grant for a specific program, general operating support, equipment purchases, an advocacy campaign, or for a building (capital project)? Most organizations are looking for funds for multiple projects at the same time. For example, unrestricted or general operating funds are most coveted as they provide an organization with the greatest flexibility. But many foundations now seek to focus their giving more narrowly, and while they may want to support your afterschool health program, they may not be willing to fund outreach that helps ensure you reach the target group of children you want to engage. How much money do you need to raise in total? How much do you expect to raise from foundations? Corporations? Government sources? Individual donors? Many funders want to see a diversity of projected revenue and they look for it in your proposed budget. What is your projected impact? What will be different if your organization secures the funds it is seeking? Be specific. What types of written materials do you have that can help inform the proposal writing process? Ideally you have a case for support that you can draw from. If not, you will need access to your mission statement, vision statement, organizational description, program description, projected evaluation method, impact and – again – budget. Where could the money come from? You can begin your funding research using The Foundation Center’s online resources (fconline.fdncenter.org/ ). You can pay a small fee for access from your computer, or you may be able to use the database at your library as many libraries subscribe providing you with free access. When you identify a potential funder, review their guidelines closely before you begin writing. Make sure that your project and organization meet the funder’s requirements. Review the required attachments. Make a list of what you will need to provide. This often includes your 501c3 letter, audited financials, an organizational budget, a project budget, board list with affiliations, and sometimes a list of other projected funders for the project. The attachments alone can launch a mini-crisis if you try to pull these together two hours before the proposal is due. Start now, and reduce future stress. How does your nonprofit report on its work? How do you share your vision, work and impact? Do you send an email? Create an annual report? What about an annual meeting that brings together your stakeholders? Are you up to it? Can you make the time? Our perspective: how can you not afford the time? The work of your nonprofit is at the core of all you do. Ideally, your work is driven by your vision. And, ideally your board takes the time – periodically – to reflect on your vision. Does it need to be adjusted? Do programs need to be eliminated, modified, or introduced so you can best live into your vision in a changing environment? Do you need to modify your strategies, partnerships, or the very way you are organized? These are a few of the important questions for a board to grapple with. The process is important, and so is the process of reporting out to your constituents. Who exactly are these “constituents?” They’re the people you serve, your donors, funders, vendors, staff, fellow board members, faith leaders, elected officials, government workers, community leaders, teachers, neighbors, and leaders of local businesses and major corporations. They are as diverse as the community you live in. With a continuous focus on the people we serve and advocate for, it is understandable that taking the time to create community “report outs” and listening forums may not always be a number one priority. But it’s critical. You have to share your vision, direction, impact and thinking with those who support you and those who work alongside you in an effort to create a better world, or a least a healthier community. 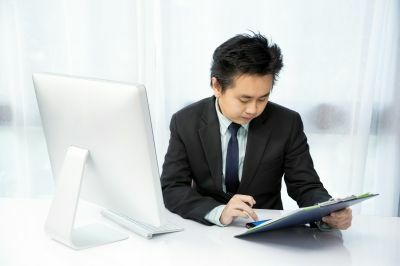 Some organizations will create an annual report – print, electronic or both. Others share updates regularly via email, Facebook, or their website. Here’s our suggestion: consider hosting an annual meeting. 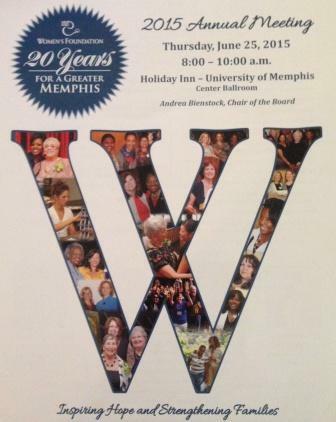 We recently attended the annual meeting of the Women’s Foundation for a Greater Memphis (WFGM) and were impressed. The board of directors took the time to craft a concise agenda that shared their vision and current work with their stakeholders. What was so refreshing was that board members made the majority of presentations. They opened the meeting, the clearly and concisely communicated their vision for the next five years. They named it Vision 2020 and they shared their history, vision and process of collaboration with a diverse group of stakeholders. These were live people talking to live people, sharing their collaborations in a clear, concise and compelling way: WFGM seeks to reduce poverty in a specific zipcode by 1% a year for the next five years. Board members spoke to an audience of neighbors and community stakeholders about a major undertaking and invited their support. Take the time to share your vision – you’re worth it. Customer service-Is this a nonprofit priority? How do you measure customer service? Can a nonprofit organization, college or university use the same processes that a retail business would use? Nonprofits are increasingly asked to focus on the people they serve. This is not news. So many employees, volunteers, board members and executives at nonprofits are all about the people they serve. They are passionate, compassionate, committed, and resourceful. But how do people who are “served” actually feel about the “service” they receive? That’s something that donors and funders often want to know. “Customer service” is also critical to management and board leadership: they want to know how well the organization is delivering on its mission and vision, and where improvements are needed. And, let’s be clear – customer service is of critical importance to people who are “served” by nonprofits. Many times organizations do the best they can with the resources available to them. But what if that’s not good enough? And who decides? To learn more we talked with Lewis Rambo, PhD. “Typical customer service propositions for firms like Target, Walmart, Macy’s, Amazon, and countless other “brick and mortar,” and Internet-based merchandisers are fairly straightforward. But many nonprofits – including colleges and universities – have missions that are complex and often underfunded.” That’s how he began our conversation. Rambo should know, his experience includes years of helping organizations with the challenges of reframing their visions and changing their cultures. Rambo encourages institutions to “discuss the undiscussable.” That means encouraging the many constituents of an organization to express their ideas, concerns, fears, biases, and experiences prior to launching a customer service program. 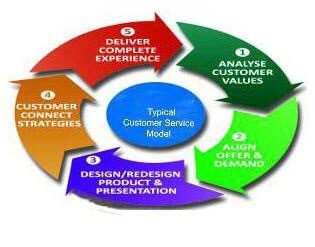 This can help the process of defining customer service benchmarks. Without this you may end up measuring the “wrong” benchmarks, or trying to satisfy a constituency whose satisfaction can only be measured in the long term. Our perspective: engage your constituents. Take the time to create a process that will work. It can be challenging, but it’s worth it. The numbers are in: Americans gave an estimated $358.38 billion to charity in 2014. That’s 7.1 percent over 2013, and the fifth year in a row that giving increased. Individuals – that’s you and me – continue to give an estimated 90% of all gifts. Here’s how it breaks out: individual gifts represented $258.51 billion (72% of the total). That’s you – your tithes and offerings at church, your online gifts, support for walkathons, the checks you write, stocks you transfer – every $25 gift and every $2.5 million gift. We also gave $28.13 billion through bequests – the money left to charities in your family members’ wills. Finally, those with the ability to give to foundations gave another $41.62 billion. Giving USA 2015: The Annual Report on Philanthropy for the Year 2014 breaks down last year’s giving and the numbers are amazing. In 2014 the amount given to charity was the highest total in the 60 years that the report has been produced. Researched and written by the Indiana University Lilly Family School of Philanthropy, the report is published by Giving USA Foundation. Here are a few more details: Foundation giving totaled $53.97 billion, (8.2 percent higher than 20130 and corporate giving was $17.77 billion (up 13.7 percent from 2013). There were some large gifts – individual gifts ranging from $200 million to one of almost $2 billion given by technology entrepreneurs. Where did the money go? Most went to religion ($114.90 billion), then education ($54.62 billion), human Services ($42.10 billion) , health ($30.37 billion), arts/culture/humanities ($17.23 billion), environment/animals ($10.50 billion), public-society benefit ($26.29 billion), foundations ($41.62 billion) and international affairs($15.10 billion). Giving to human services continued to increase as did giving to education. Individuals increased their support of giving to civic and civil rights organizations, and to community and economic development. Related to this, the report notes that donors are “more and more” interested in knowing the strategies nonprofits use and the impact their dollars make. 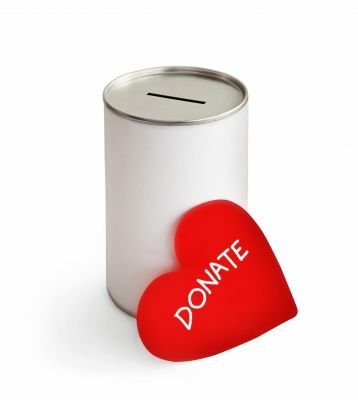 Nonprofits are being asked “more and more” to be accountable for what they do with donations. The good news: many organizations are collecting more data and becoming more transparent. Here’s what we know: your gift makes a difference. Together our gifts change lives and communities. The nonprofits we support require our support. Let’s keep giving. How do we stop using excuses as a conversation starter, or icebreaker when starting a meeting? We all know people who start conversations by making excuses for why they are late, unprepared, and haven’t completed what they committed to do. First comes the excuse; then comes a focus on the content of the excuse. A meeting to review fundraising progress can turn into a discussion of traffic, construction, family illnesses, the weather, and before you know it 15 minutes have passed. 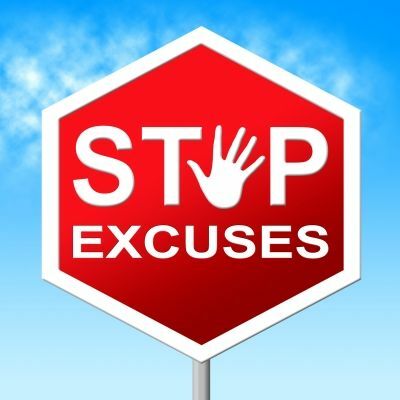 Excuses send the wrong message to people who are serious about meeting. They have come prepared and are ready to work. These could be staff, board members or volunteers. One thing is certain: they didn’t show up for excuses. The fact that your organization is a nonprofit doesn’t mean that excuses should be tolerated. Excuses cannot be a part of our culture. We have to rethink how we communicate. Here’s why: excuses turn people off. When you invite someone to work with you on your fundraising, they are giving their valuable time. They assume you are serious about fundraising and want to get things done. You will run people off is you spend 10 minutes trying to remember what people committed to at the last meeting, and another 10 minutes discussing why those things didn’t get done. We are telling you the truth. Organizations large and small are always seeking talented people to join their fundraising campaigns. What many don’t know is that disorganization and excuses can keep all but the most dedicated of people away from the table. They don’t have the time to waste. These words may sound harsh, but they are the truth that is not told. If you want to grow from one level of fundraising to another look at how you conduct meetings, how you hold each other accountable, and the extent to which excuses dominate the meeting. What do we mean by accountability? Doing what you say you’re going to do, and doing it by the time you committed. Oh, did we mention doing a good job? If you lead with excuses you can stop. Set realistic timeframes. Make commitments you can keep. Get support for developing better time management skills. Whatever it takes, stop leading with excuses. Make your word your bond. If your team members lead with excuses, check in with them in advance to see if they need assistance and are progressing in a timely manner. As a manager and leader of volunteers you have to be focused, upbeat and set a positive tone. Be a motivator. Be creative. Have a plan B and a plan C. Be prepared: show the people you are working with that you value their time. Your leadership should be infectious and elevate your volunteers to the highest level.